NASA’s close eye on the space rock is proof Nibiru, also known as Planet X, is real, according to theories. Some have linked the planet to an asteroid called 2012 TC4, which is due to make a staggeringly close pass of Earth on October 12. NASA earth defense specialists are closely monitoring the close approach of the asteroid. Conspiracy theory channel Igor Kryan wrote: “WOW Nibiru fears were right: something huge from deep space coming to earth and it is coming closer than a distance between New York & Tokyo. “On October 12 New Yorkers will be closer to the object 2012 TC4 than to Tokyo. Nasa claims the asteroid has nothing to do with Nibiru, which Nasa claims is an internet hoax. However, 2012 TC4 is as big as a tower block and traveling towards us at more than 40,000mph. 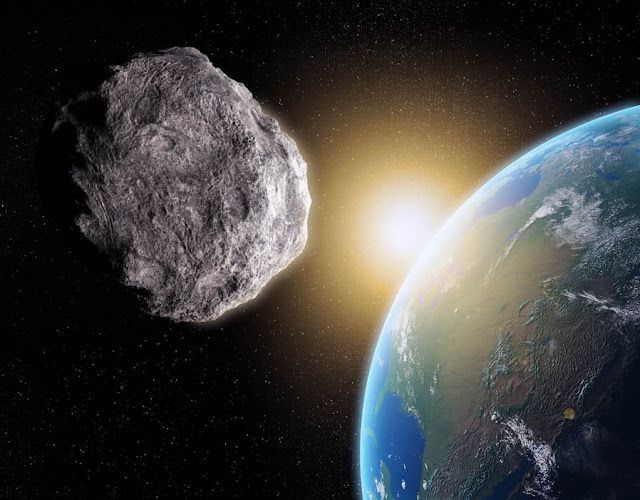 The space rock is believed to be bigger than the Chebylinsk meteor which exploded above Russia, damaging thousands of buildings and injuring 1,500 people.